I received this novel from net galley and the publisher. Thank you!The Chronicles of Dania continue as Princess Jenna, now known as Ivariel, continues to find her place in the world away from the empire she grew up in. She has many internal battles to conquer as well as external ones. Ochieng has fallen in love with Ivariel and wants to marry her. However, the scars left by her deceased husband still affect her, yet she tries to move forward. She continues her work with the elephants, especially I received this novel from net galley and the publisher. Thank you!The Chronicles of Dania continue as Princess Jenna, now known as Ivariel, continues to find her place in the world away from the empire she grew up in. She has many internal battles to conquer as well as external ones. Ochieng has fallen in love with Ivariel and wants to marry her. However, the scars left by her deceased husband still affect her, yet she tries to move forward. She continues her work with the elephants, especially Efe, who also bares scars and sees as a kindred spirit as well as being a warrior priestess of Danu. She continues to use her dances she learned to become stronger. Ivariel still wonders about the family members she left behind and if she will be hunted for the death of her brutal husband. 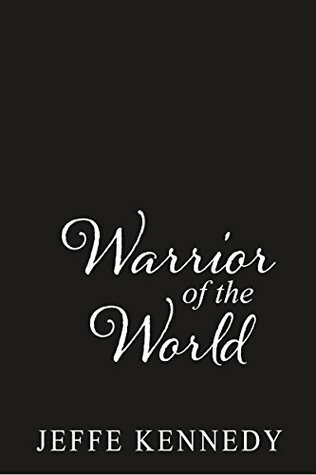 She begins to feel like one of the people until a tragedy forces her to become the warrior priestess to protect those she cares about and seek justice to those who did them wrong. Ivariel is clever and uses the lessons learned from childhood and her skills as a Danu priestess to help the people of Nyambura have the peace they long desire. Still the world is changing and the people of Nyambura need to adjust to the change and Ivaeriel let the others know of the power of the goddess Danu. Great finish to Jenna’s story. I would like to know how her life and her family tie in with the rest of the characters of the world Jeffe Kennedy has created. Because even though this story is complete there are signs at the end that there’s more to come and I’m looking forward to the next book in the series.